Robert Glasby. 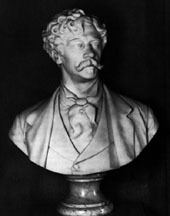 Bust of Sir Joseph Edgar Boehm. Marble. Royal Collection, Windsor Castle. Born in Vienna, of Hungarian descent. Came to London 1848 and studied for 3 years, mainly in British Museum; then studied in Italy, Paris, and Vienna, where he won the First Imperial Prize, 1856. Settled in London, 1862 and first exhibited at R.A. the same year. British nationality 1865. 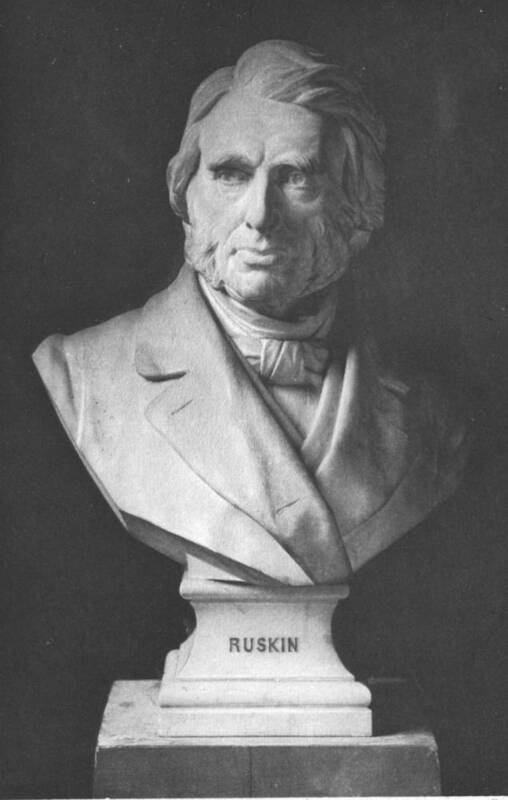 Received constant flow of commissions for public monuments, portrait statues and busts; became Sculptor in Ordinary to Queen Victoria. Besides public commissions, executed imaginative works. Lecturer on sculpture at R. A ., and member of several foreign academies . Works include: Wellington Memorial, Hyde Park Corner; Lord Beaconsfield and Dean Stanley in Westminster Abbey; Carlyle on Chelsea Embankment; recumbent figure of Archlzishop Tait, Canterbury Cathedral. 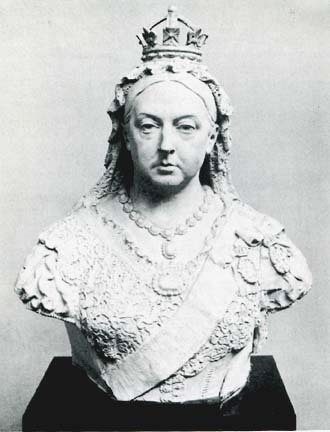 Executed stone figure of Queen Victoria and the Prince of Wales on Temple Bar Memorial, Fleet St., 1880, for which C. B. Birch modelled the "Griffin". Executed portrait head of Queen Victoria for 1887 coinage. A.R.A. 1878, R.A. 1880, Baronet 1889. According to Lindsay Duguid, Boehm, who enjoyed a good deal of royal patronage, was the lover of "princess Louise, Queen Victoria's artistic daughter," and their "affair . . . ended with his dying of a burst blood vessel, alone with her in the studio she had built for him in the grounds of Kensington palace." Dakers, Caroline. The Holland Park Circle: Artists and Victorian Society. London: Yale University Press, 1999?. Duguid, Lindsay. "All who loved the beautiful." [review of Dakers]. Times Literary Supplement. February 8, 2000: 20. Virtue and Vision: Sculpture in Scotland, 1540-1900. Ed. Fiona Pearson. Edinburgh: National Galleries of Scotland. 1991.